Just a bit about how I started in cats and my thinking on breeding and raising animals. I have been involved in animals since....before I can remember! 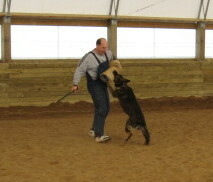 My mother showed and trained field dogs and I was in the ring by the time I was 7 years of age. At age 13 we moved to a more rural area and bought a few horses. 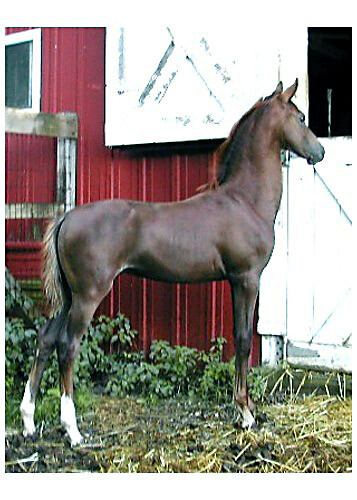 Those few turned into a horse farm were we trained, bred and showed Morgan horses. My parents still own this farm and are back down to just "a few". I married and moved to Big Rapids, MI. Here I became involved in fostering animals for a local rescue. Eventually I opened my own rescue on a small scale and ended up rescuing and adopting out several hundred animals of all kinds. I fell in love with the German Shepherd breed after rescuing one from the pound that had heartworms and was nearly starved to death. He's still here! 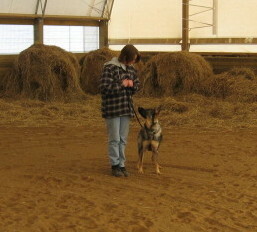 I started out in the sport of Schutzhund and bought several import dogs. 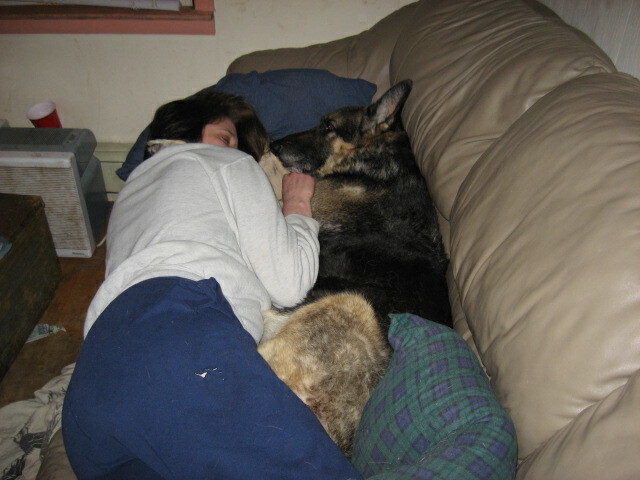 Unfortunately space and time were limited and I am back down to just a "few" (3) German Shepherds. My love of developing a quality animal for the public and for other breeders did not diminish. I love to watch puppies and kittens grow into strong and beautiful adults who are a joy to their owners. Hence I am now involved in Bengals. 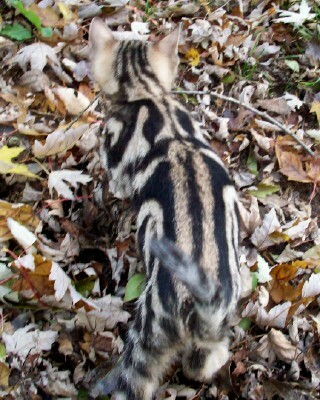 I could not find another breed of cat that brought me as much joy as the Bengal cat can. They are playful, dog-like and full of the love of life! When I am ready to just cuddle, so are they. Welcome to the wild, wild world of the Bengal. I'm sure you'll love to stay! I am by no means a cat expert and I am learning on a daily basis. I've met some very helpful breeders on my search for foundation cats and I appreciate all the advice and encouragement I've gotten so far on this exciting journey! Yep they live with cats no problem! I get asked constantly how my German Shepherds like their cats for dinner. It's all in the training and a deep respect for what's MINE.